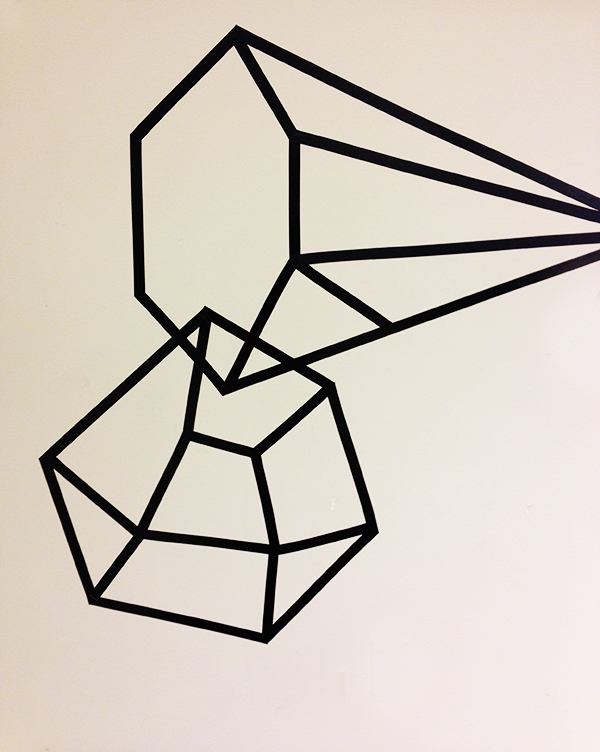 I saw this awesome electrical tape mural on a blank wall under the escalators at Nordstrom. This is a great way to create large scale art for under $5. You can even get the tape in colors! If you're looking for more tape inspiration, check out this mural also made with electrical tape and this door. Great post! I like the collection. Thanks for sharing it.